In this post I’d like to introduce you to Juha Nikki, a very interesting and talented guy I became acquainted with at BritishBlades.com where he goes by the name of “bwildered”. He posted some photos of a tuppi he made with no stitching or glue and I began a conversation with him about it. 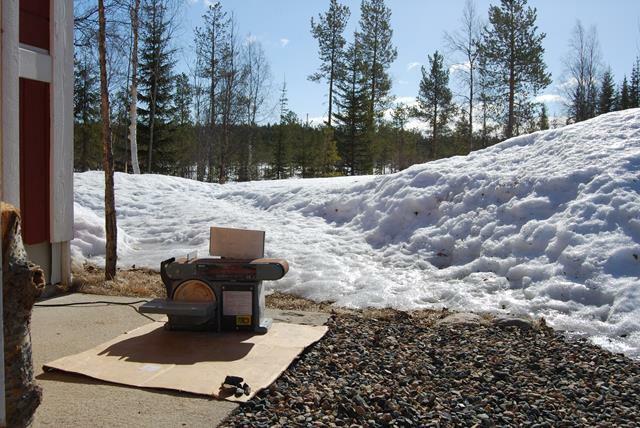 You’ll see an example of it in the photos below and Juha has promised to do a tutorial for this blog showing how to make one. He also makes some very nice knives which I’m glad to show you. 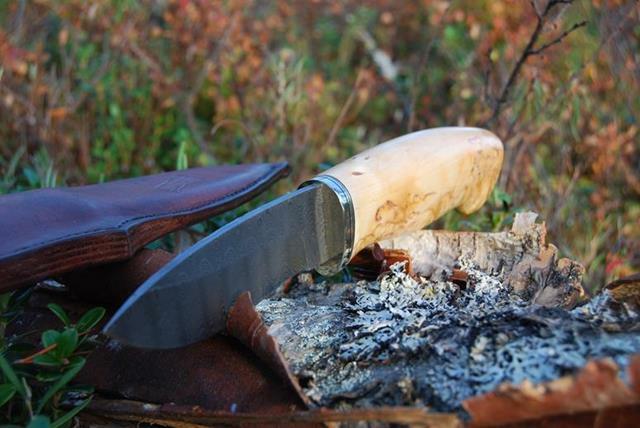 “I’m a hobbyist knife maker living in Finnish Lapland. Knives have always been a part of my life in the sense that even though I don’t use them a lot, there are always knives handy to use as tools for those little DIY jobs. I only became seriously interested in knives a few years ago when I attended a knife making course in the local ‘night school’. I’ve since made a few dozen knives, but my pace is generally quite slow as I struggle to find the time to do knife work. 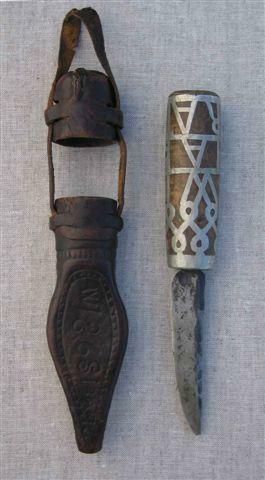 I’m originally from the South of Finland, a little place whose only claim to knife history is that there is a unique old knife from there in the Finnish National Museum. The knife is also featured in Juha Ruusuvuori’s epic Puukkokirja book. 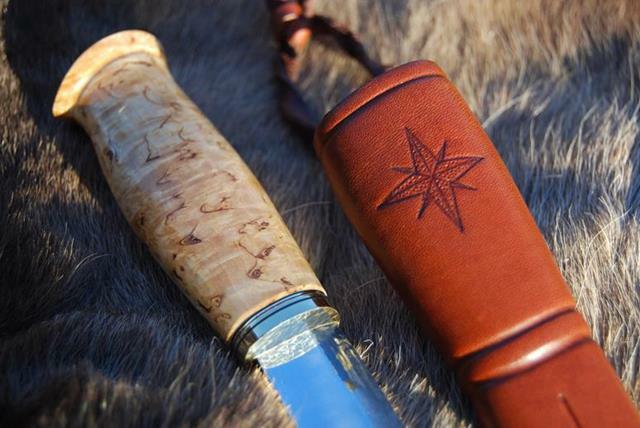 As far as I know, there is no other particular knife making tradition in the immediate region of Lapland that I live in, or a unique knife style. However, almost everyone is some kind of an expert knife user, even if it’s just with gutting fish. 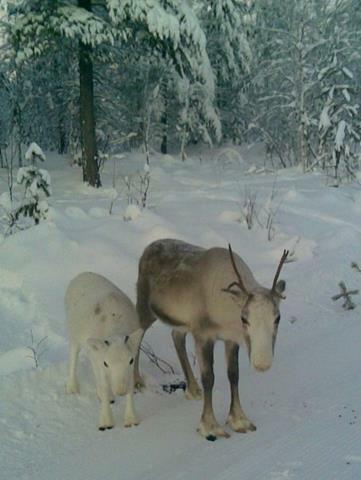 The reindeer herdsmen, of course, have a very versatile skill set. 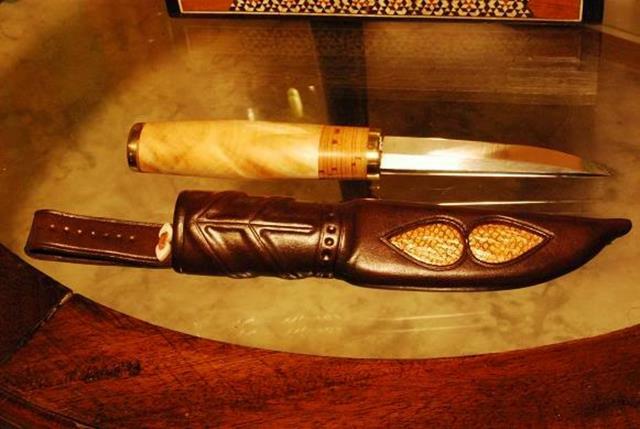 While sporting knives in public places here is a crime in theory, people wear knives on their belts so commonly, that it’s not unusual to see them with a knife hanging from their belt in shops and other public places. 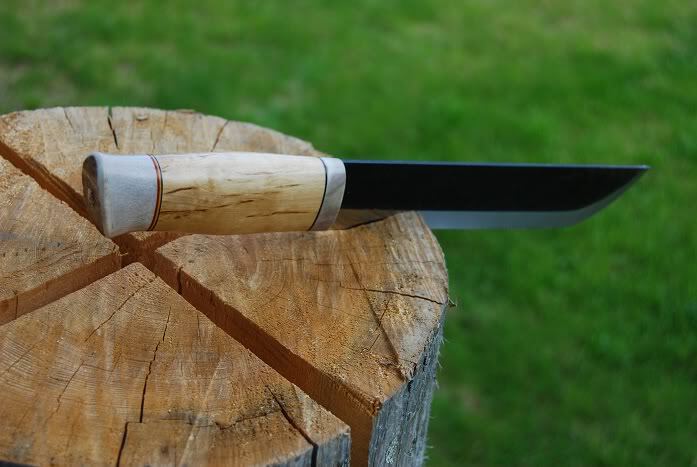 Also, lots of people have made and still make their own puukko as a special thing, but almost always with a purchased blade. There hasn’t been a blacksmith in our little town for a long while, although I have heard the last remaining smithy was only fairly recently dismantled. 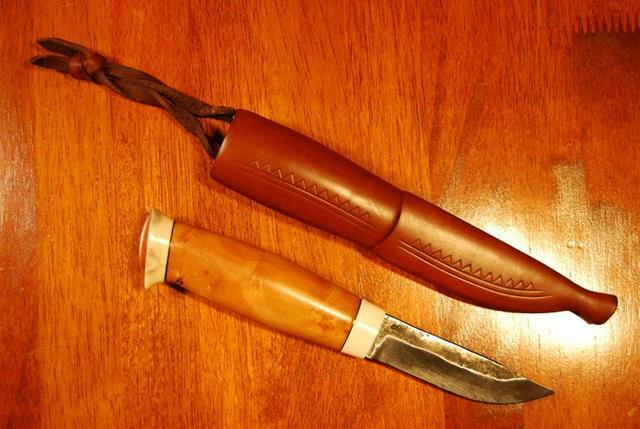 I still have and use my first puukko. It is a Marttiini Ilves, which I got from my parents as a birthday present when I was about seven years old. The knife is living proof that I am not a great knife user, as the blade has still plenty of steel left after nearly 40 years. 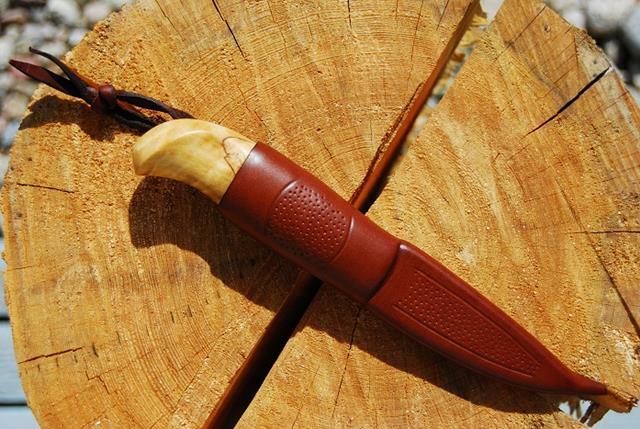 The life of this puukko hasn’t been easy. Before I knew much at all about knives, I reprofiled the handle as it was loose and needed peening again. I also sanded the cracked lacquer off the partly moldy handle and had heard somewhere oiling would be better for the timber. 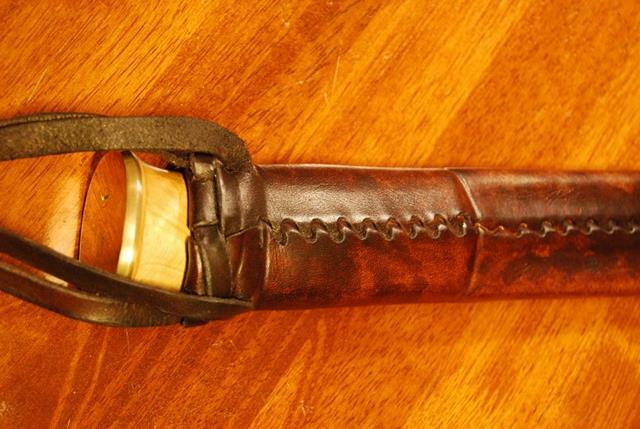 So, on went a coat of motor oil… The sheath has also had a bit of stitching very inexpertly renewed. I got the basics for my knife making from the knife making course, and the rest I have picked up myself, with enormous help from the Internet. 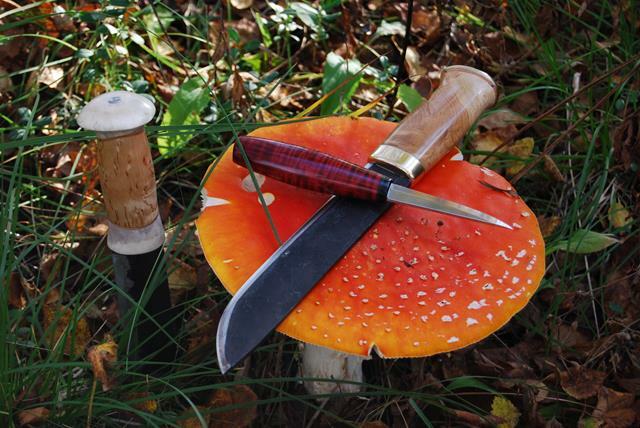 At this point I must mention British Blades, which is a knife forum that has been not only a great source of information, but also inspiration, motivation, trading etc. I must’ve spent hundreds of hours in the past few years reading up about knives, especially puukkos online. Sad, I know. However I feel I’ve accumulated quite a good understanding of what I like and don’t like when it comes to puukko knives. 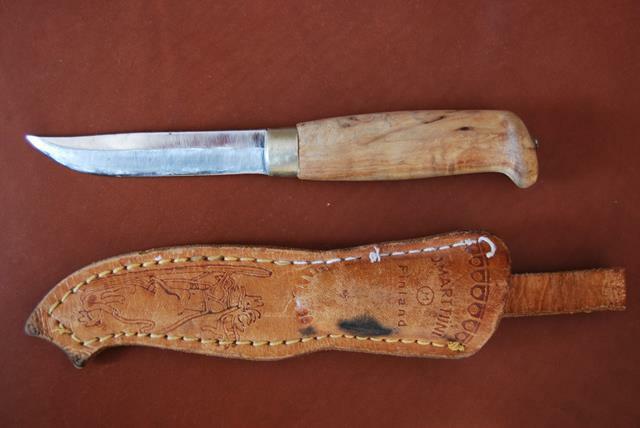 My taste in knives is such that the only things I understand anything about are puukko and leuku. I don’t claim to be an expert on either, but those are what I’m interested in, and those are what I make. With materials, I’m becoming more and more in favour of simplicity. For some time now, I’ve thought that one knife handle should only ever have one timber. 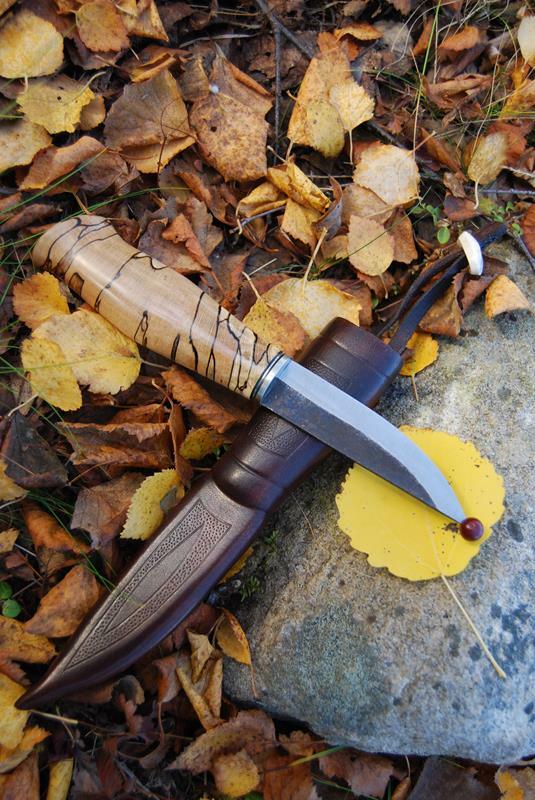 There are very, very few puukko type knives I’ve ever seen that ‘work’ in my eyes, if there is more than one timber used on it. 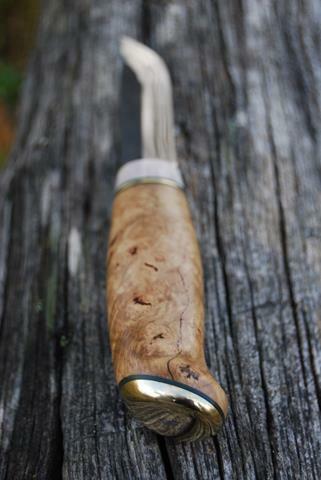 My absolute favourite timber is birch burl. The chatoyance on a good piece is just wonderful, and everything I could ask from a good looking puukko handle. 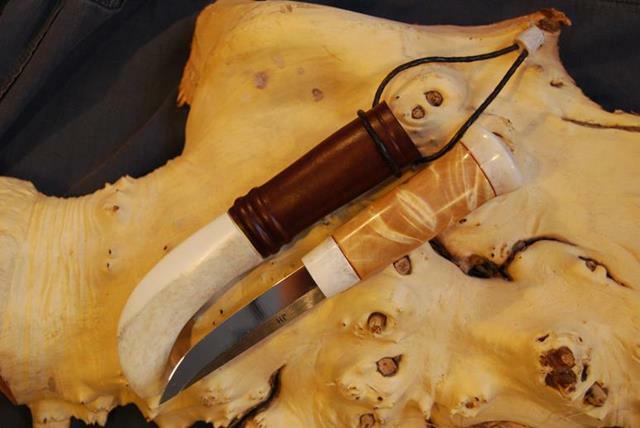 Of late, the combination of reindeer antler and birch burl has been what I’ve used a lot. Luckily, both of those materials I can get very locally, indeed. I have used exotic and even stabilized timbers in the past and will do so in future, but coming back to birch burl is always a pleasure. There’s no particular style within puukkos that I restrict myself to. I like to experiment with handle shapes. 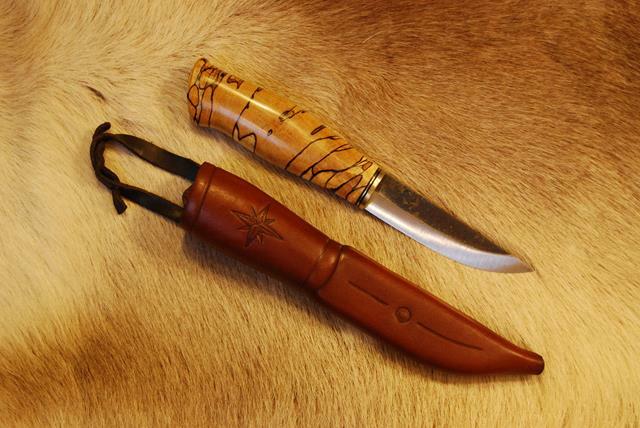 Sami style knives and simple, well executed barrel shape puukko knives are my favourites. 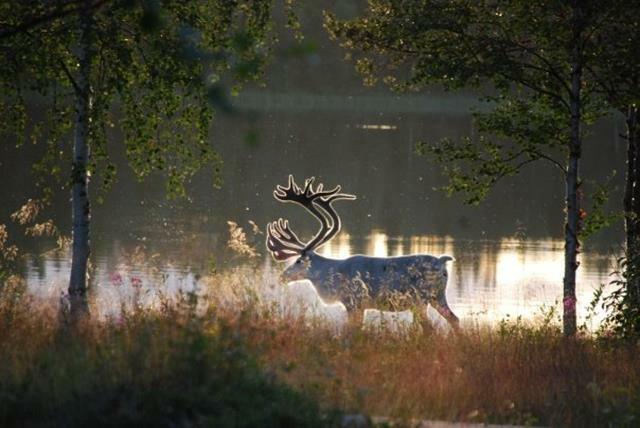 I’ve decided against doing Sami style decorative antler carving myself. That’s down to several reasons, the main one being that it’s very difficult! When it comes to looking at knives made by other people, Sami knives are hands down my favourites. The more elaborate carvings, the better. 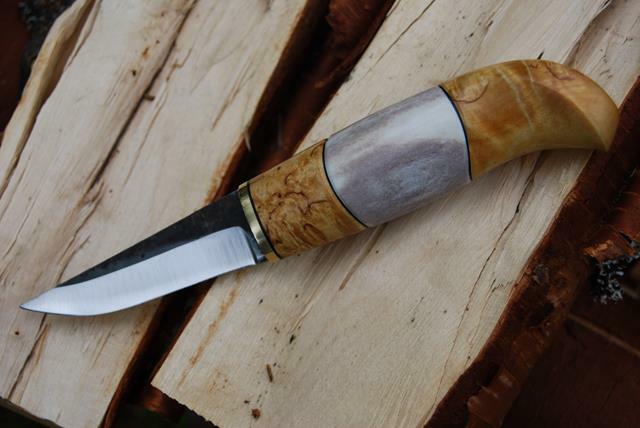 Other than that style, I favour simplicity in knife handles – but not all the way down to minimalism with only one-piece handles and no decorations at all. I just think most of the time limiting the amount of decorations gives the existing embellishments more weight. With blades I quite like a rustic finish, although at the same time a nicely finished, sanded silver steel blade like those of Jukka Hankala and Joonas Kallioniemi are great. 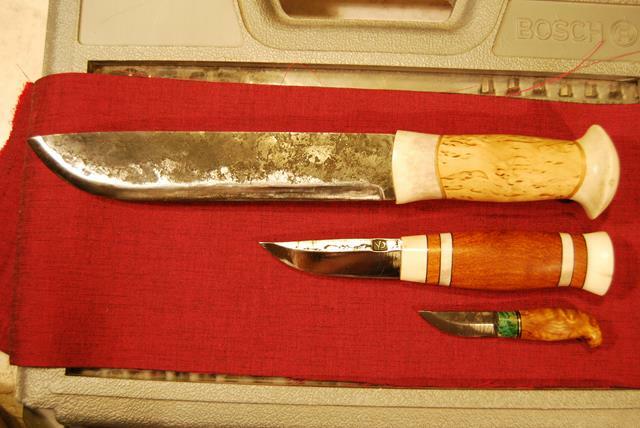 My preference is not to have a ricasso in a puukko, though it makes the life of a knife maker a lot harder. 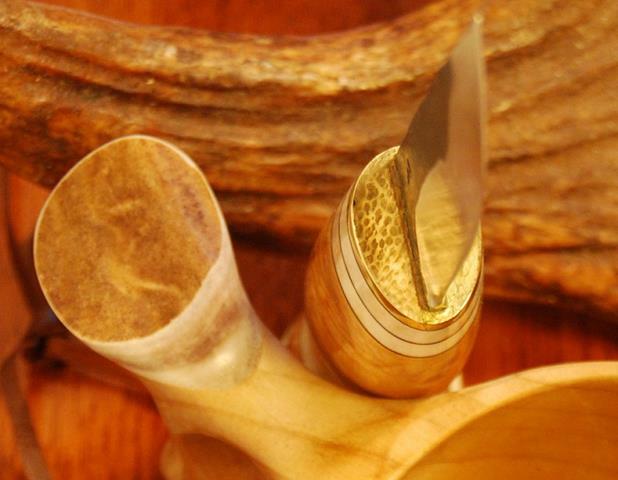 The same goes for rhombic cross-section puukko blades. Stainless steel blades are something I rarely use, mainly because it’s hard to find a decently shaped puukko blade without a ricasso in stainless steel. 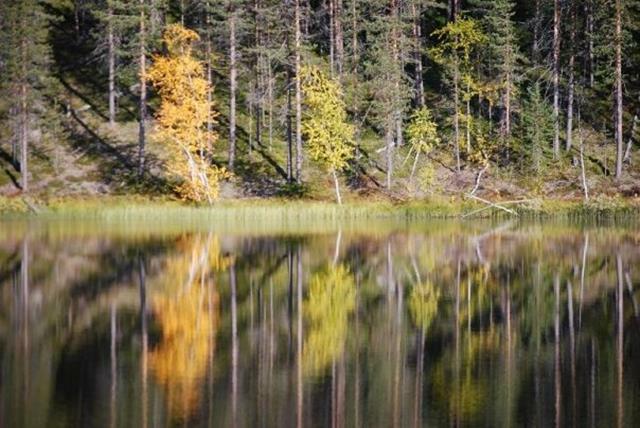 Another reason is that especially in Finland there are a lot of people, who being heavy puukko users and very aware of both tradition and characteristics of various blades, have their suspicions about the properties stainless. 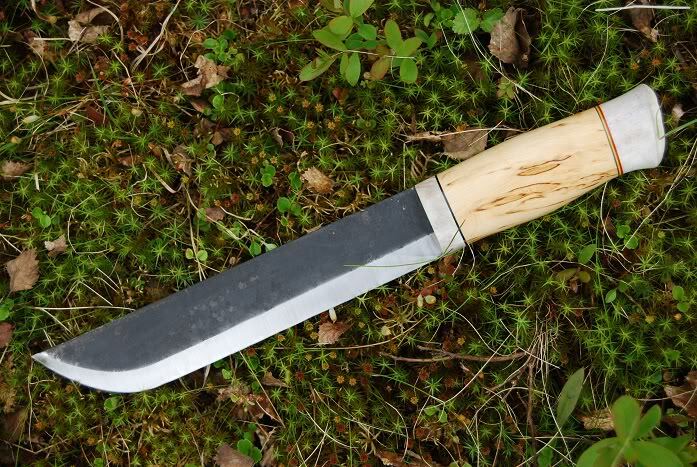 What I’m not quite sure about is whether the suspicions are valid with the most modern variations of stainless, but they probably are in terms of the availability of puukko blades in said modern steels. Note to blade makers… There may be a gap in the market there! The two main aspects in knife making for me are (1) producing as good a fit and finish as I reasonably can and (2) trying something new as often as I can. The quality of the fit and finish will always have some room for improvement, otherwise no knife would ever be complete – and what is a ‘reasonable’ finish is for each to decide on their own. I don’t think I’ve ever made two puukkos that are even remotely similar. I like to experiment with different handle styles, but without going overboard. This usually means trying out well-proven classic shapes that have already been made in various regions of Finland and in some cases Sweden. 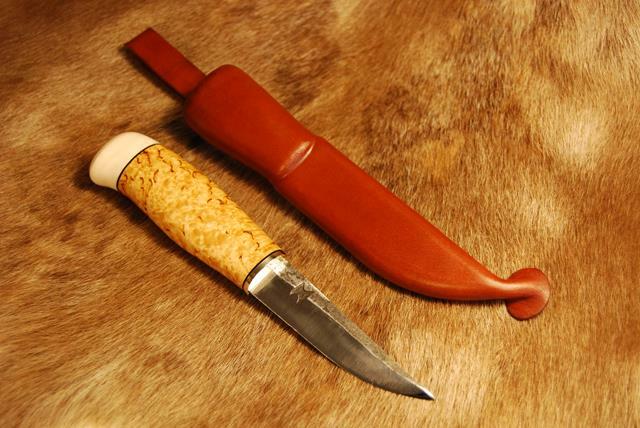 The new things I try can be for example a rounded joint between two handle parts, a hammered finish to a bolster, using different leather for a sheath, using a particular handle material for the first time. The list so far is dozens and dozens of things, and will get longer. One thing I like about knife making is that you don’t have to get stuck into a particular formula, even if you just stick to puukkos. I still have countless techniques and styles to try out. My obsession with knife handles is trying to make them symmetrical. 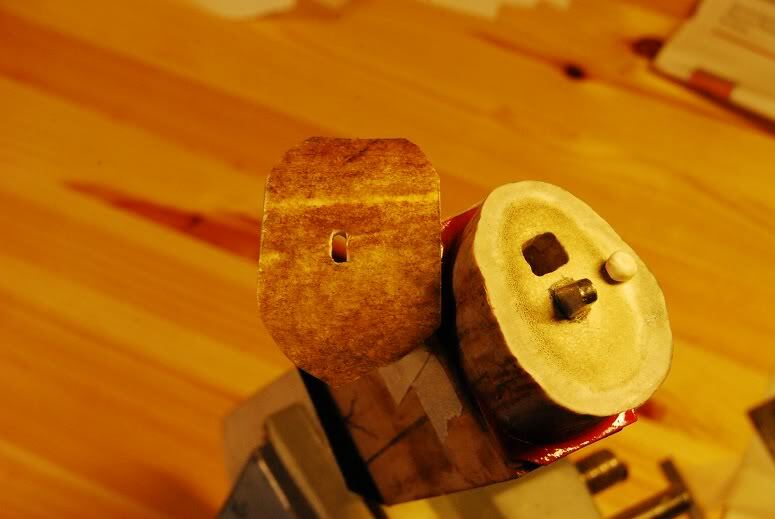 I always have at least two long breaks from the handle shaping, when I go watch the TV for the evening and occasionally stare at the half-finished handle from different angles, trying to decide which bits to fine tune to make it perfectly symmetrical. More often than not, I employ my long suffering wife to help me with this. She has become quite the expert in what we call The Art of Knife Staring. Now, I’m not saying my handles end up more symmetrical than anyone elses, just that I’m more obsessive about it and probably worse at spotting the flaws. Hence, I have to put a lot of effort into it. I think my record from the early days is ten hours of shaping the handle before the final sanding. Crosscut spalted timber was not ideal for ogling the lines! These days I’m quicker, fortunately. 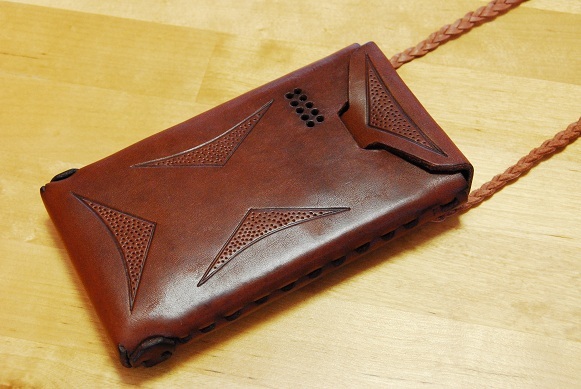 Leatherwork used to be something I dreaded, and didn’t like doing. Nowadays it’s one of the more interesting aspects of knife making, and I enjoy it. I’ve experimented with quite a few different sheath variations. My specialty in it is making a seam without the use of any thread or glue. 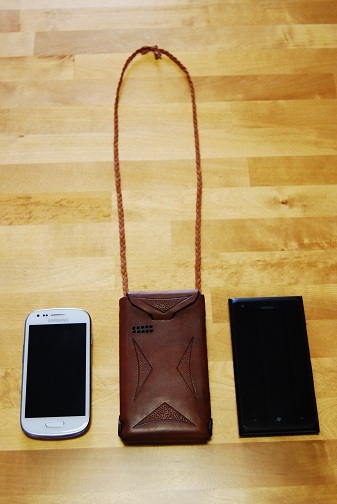 This is done by interlocking the edges of the leather through a series of holes and toggles. 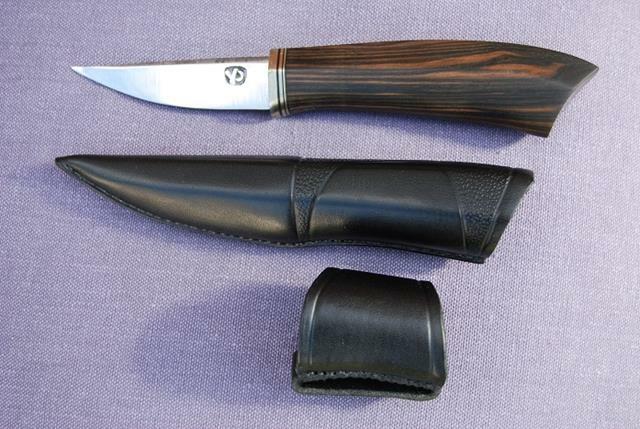 I call these sheaths ‘stitchless scandi sheaths’, just to distinguish them from ‘normal’ sewn sheaths, which I still also make. 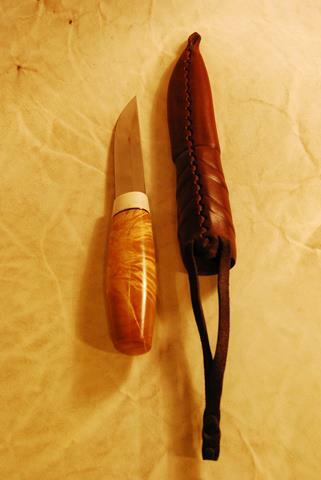 I did once make a stitchless sheath for a big leuku knife, too. That was probably the most complicated piece of leather work I’ve done so far, and required a lot of planning especially with the belt hanger loop. 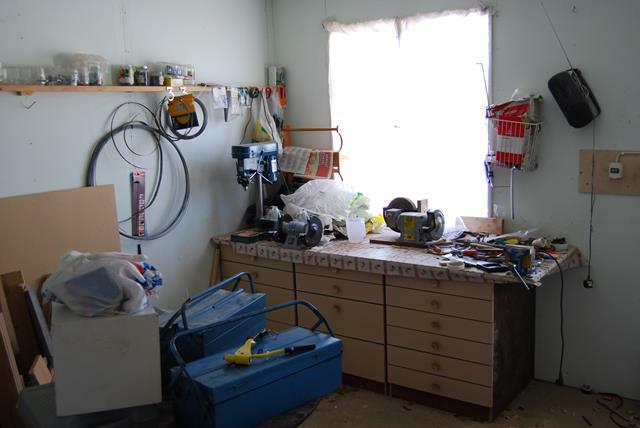 Workspace number two is a room next to the garage in an unheated outbuilding. It’s where I sand and shape the handles after they have been rough shaped on the belt sander. 90% of the time, when the knife comes out of the belt sander stage, it can be sanded directly without any need for filing. Saves a lot of time, although I used to enjoy shaping the handle with hand tools only, as well. Pretty much everything else, i.e. 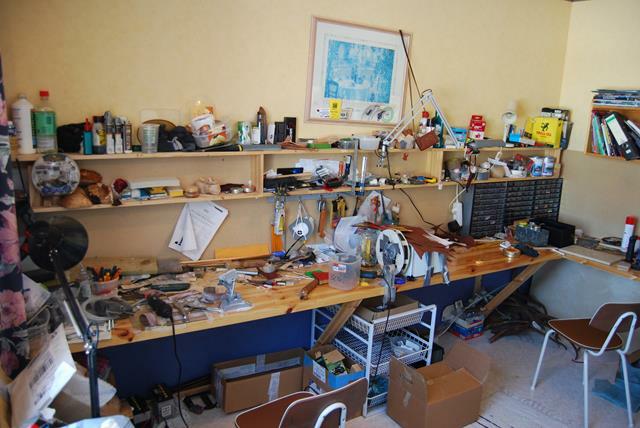 the ‘clean work’ and leatherwork I do in our house in a room converted into a hobby room for me and my wife’s silverwork and other crafts. As you can see, tidiness isn’t one of my virtues. I do make sure the spaces I work with leather are always spotless, so the leather doesn’t get dirty. Sometimes it’s scary how much materials I’ve accumulated. 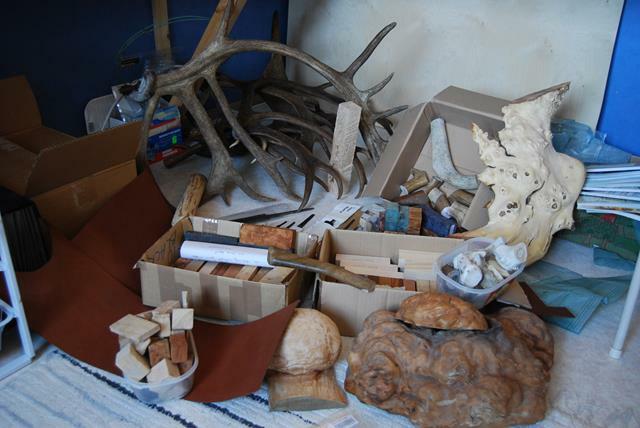 The photo below is missing some bits, like a half a dozen complete birch burls… Finding good bits of reindeer antler is sometimes a challenge, despite the pile in the corner. As far as hobbies outside of knives are concerned, I try to exercise to keep at least remotely fit. Most active I am on cross-country skis, both classic and skating styles. 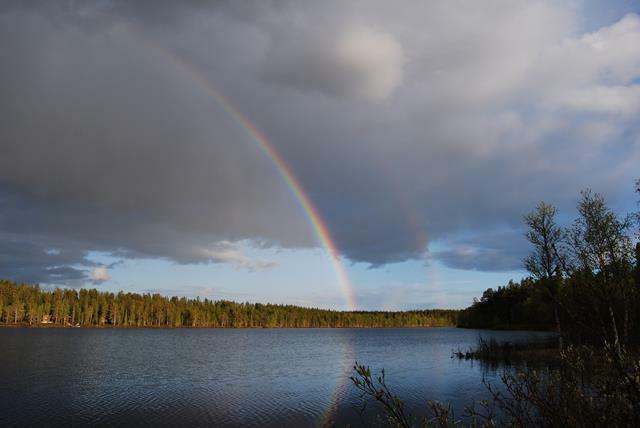 I also hike (day trips only), cycle and snowshoe at very infrequent intervals. 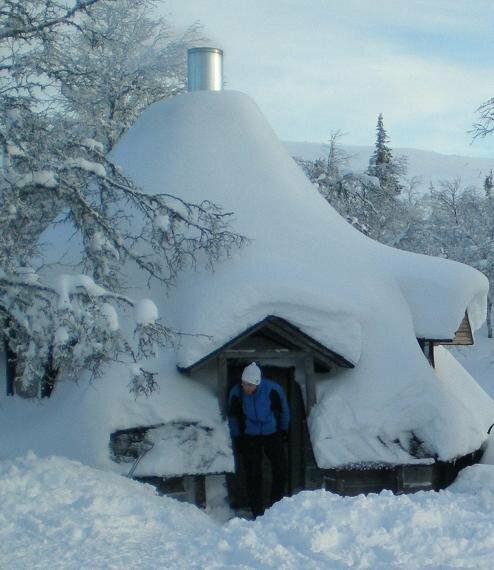 Chopping our own firewood and clearing the snow from the yard is also very good exercise. 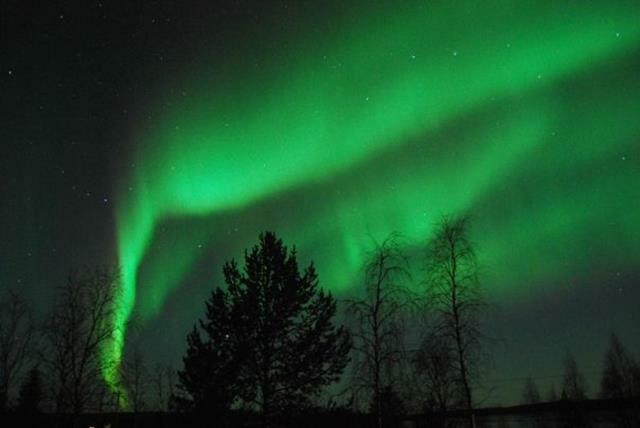 This is one of my favorites by Juha. 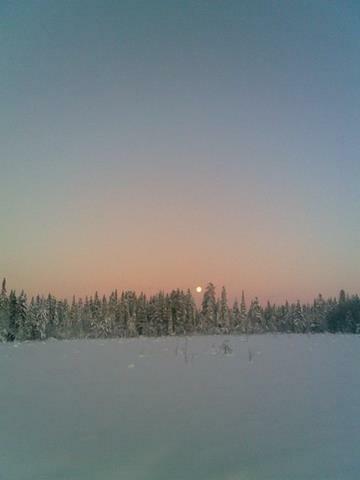 It has a rattle in the Sami tradition. Again, I try to experiment with something new with most stuff I make. 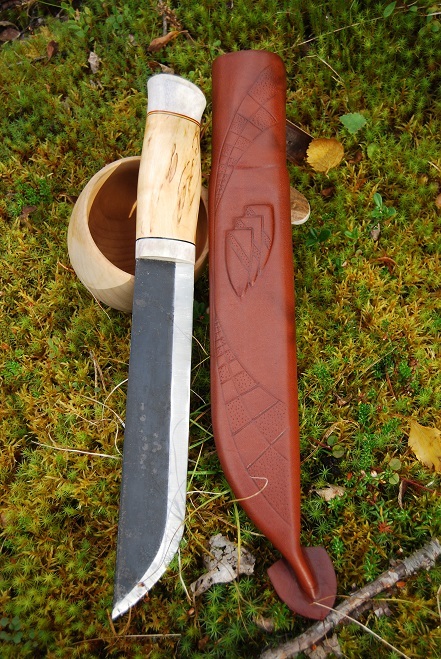 This one must be fairly unique in the modern day – it’s got a rattle… The Sami people, who are the original users and creators of the leuku, apparently have thought that a little rattling sound from a knife when it is used will keep the evil at bay. No harm in trying, I reckoned. So in went a little antler ball its little cavity. The rattle is barely distinguishable, so you won’t be scared or annoyed by it yourself, I believe. 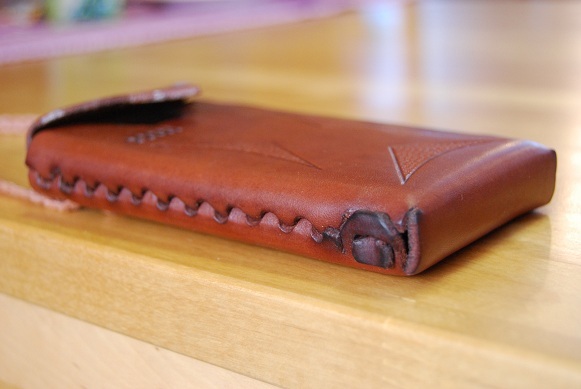 And for something a little different here is a phone case Juha made using his stitchless closure technique.